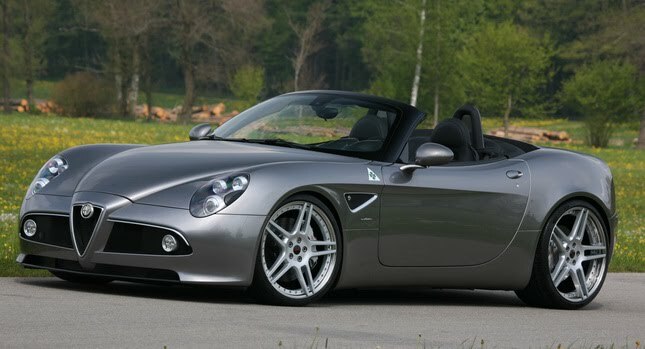 It may not be the best sports car Italy has to offer us right now, but Alfa Romeo’s 8C Spider is certainly a prime candidate for being one of the most beautiful out there. That said, even Novitec Rosso is smart enough to know that you don’t mess with a good thing with the German tuner focusing its attention on improving the Alfa’s mechanical hardware. The highlight of Novitec Rosso’s performance package is hidden under the 8C Spider’s hood with the adoption of a modified version of the supercharger system used on the firm’s Maserati GT tune. A new water-to-air intercooler with a dedicated radiator, custom injectors, a stainless-steel high-performance exhaust system and an ECU optimization round off the changes to the 4.7-liter V8 engine.